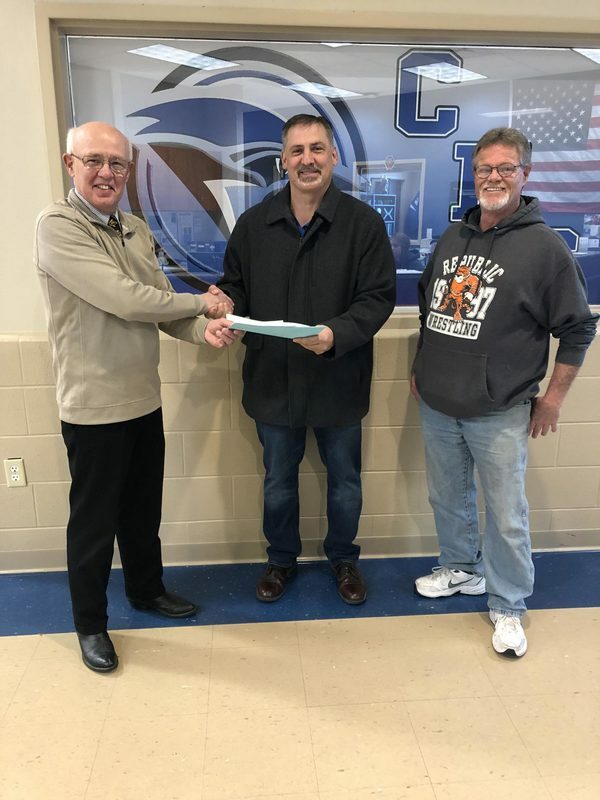 The Care to Learn chapter of Clever received a $1000 donation from the Masonic Home of Missouri and the Billings Masonic Lodge #379 through their Creating A Partnership Program. Because of their generous donation, the hunger, health, hygiene needs of kids are being met and kids can be successful in the classroom. Pictured above, from left to right, are Stan Laney, Steve Carvajal (Superintendent of Clever Schools) and John Hull.